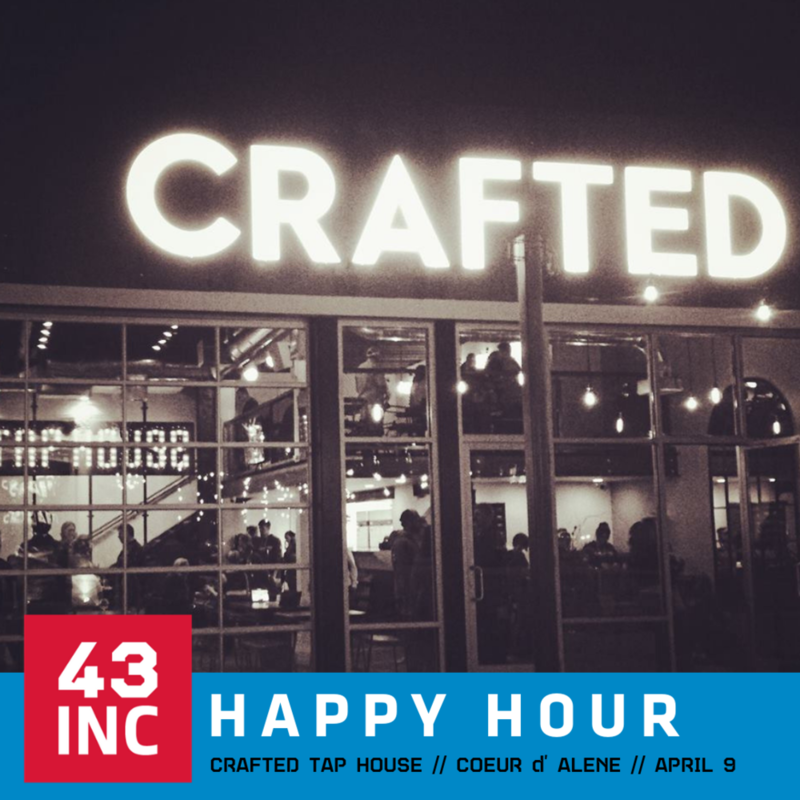 The Mission43 team, including 43INC, Hire Heroes USA, and Guild Education, will be on site in Coeur d’Alene to meet with local members, discuss upcoming opportunities (such as the North Idaho Entrepreneur Sprint), answer questions, and help you expand your network in a laid back, casual setting. 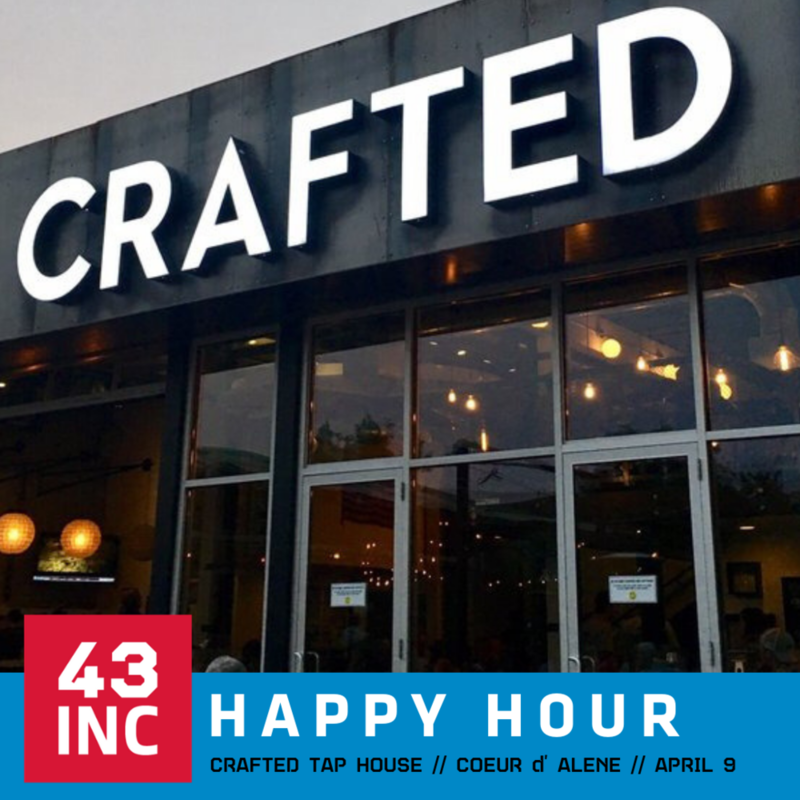 If you’ve been looking for an opportunity to meet with the team, learn about career development resources with Hire Heroes USA, advance your education through Guild Education, or even just ask, “What is Mission43?” meet us at Crafted on April 9th. 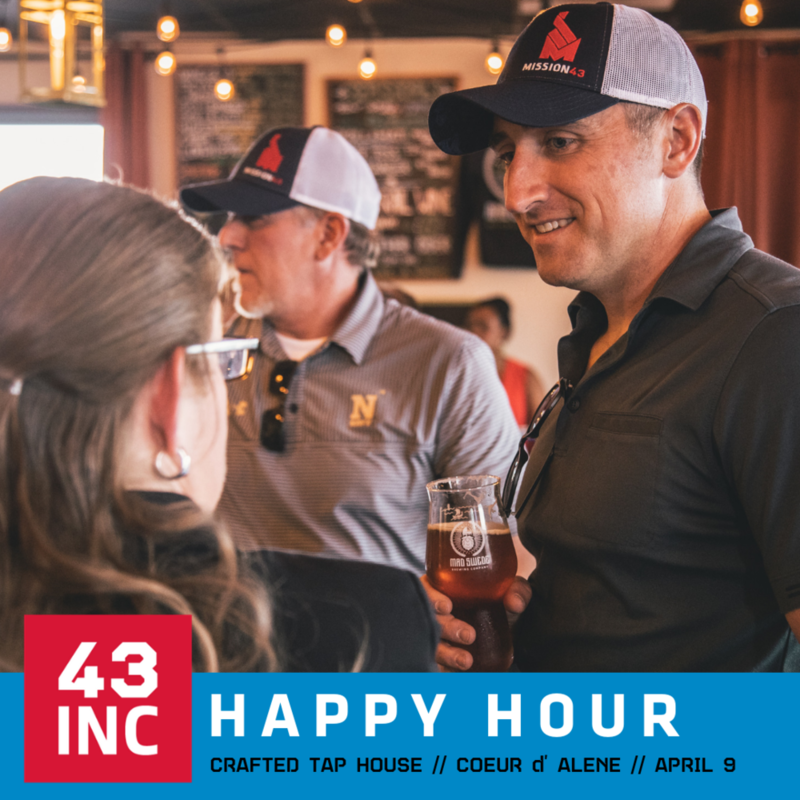 Come out to Innovate + Network + Connect with other veterans, military spouses, and our civilian supporters who all believe there is more to accomplish after the service. We set the conditions, you create opportunities with those you meet!